How to get 30GB of Microsoft OneDrive cloud-storage in your iPhone 6, iPhone 6 Plus and other iDevices? No more enough room to save your files in your iPhone? Just recently, Microsoft gives a huge amount of free space for your storage needs by simply using its popular cloud-based storage, OneDrive. Of course, this is such a steal-offer considering how much money you'll have to spend if you purchase Apple's iCloud Drive bundles. This is a limited time offer until the end of September only. All you need to do is to sign up and then activate the auto upload feature for your camera roll between now up to the end of the month by going to Settings > Options and then turning on the Camera Back Up. You will then see at the Storage Information under General Setting your updated 30GB storage! Download it here. 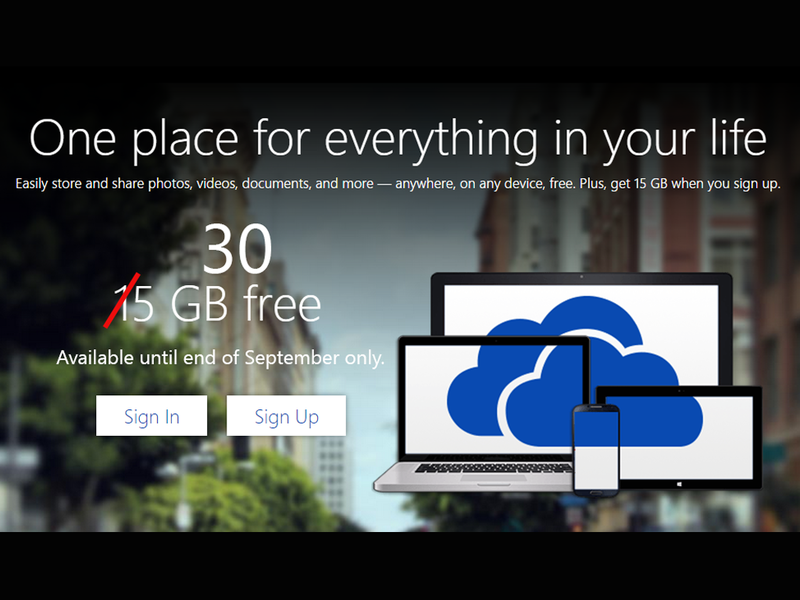 Pinoy Metro Geek: How to get 30GB of Microsoft OneDrive cloud-storage in your iPhone 6, iPhone 6 Plus and other iDevices?